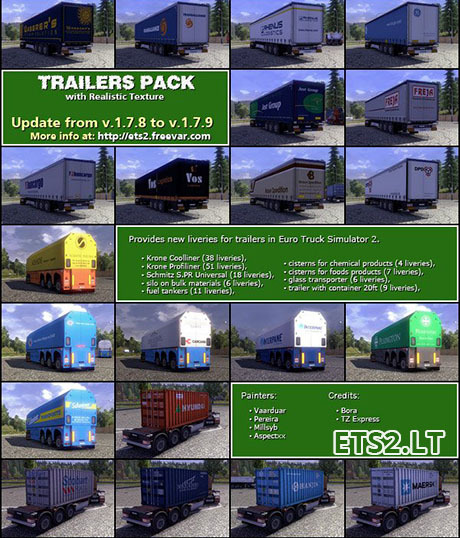 – all of them will be available in Euro Truck Simulator II !. 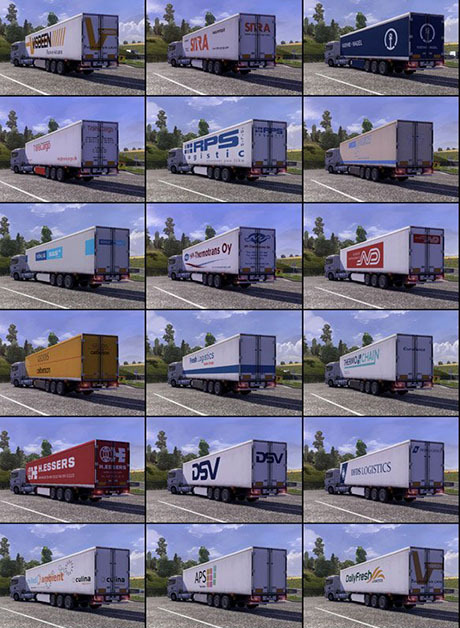 + 54 revised textures for curtain-sider trailers (Krone ProfiLiner) and refrigerated trailers (Krone Coolliner). 4. Select the profile which you want to to use with this mod, and then click the Edit button. 5. On the list of active mods select as inactive the previous version of this modification (if it was used), and then select a new version as active. Click the Apply button. 6. Again, select the profile and run it. You should receive a message that saved game uses a modification that is no longer available. Accept by clicking Yes. 7. If the profile launch properly, everything goes correctly, if not try to repeat the previous steps. 8. After leaving the game, you can remove the previous version from game’s mod directory (if it was used). Previous version is no longer required. Wonderful work! I was using the previous one too and I absolutely love it 🙂 Thanks a lot and keep going, your work is amazing! shows because empty memory for game is no longer available. Maybe problem is with other mods which you are using? This mod has many changes definitions files so could be not compatible with others trailer’s mod but I’ve nerer test it. @Georgegold – could you send me your game.log ? Here we have another wannebe moder collects a hole lot of skins puts them on trailers writes a big………. description, without even trying it out for himself and making sure it works at least 95-99%.I don’t know why people do that.It just makes no sense! This mod works with 100% efficiency assuming that no other conflicting mod will be used. It is developed from the beginning as soon as the game appeared on the market ( date of first publication: 2012-11-25 ). the previous versions have already been published here. So without any difficulties you could found how this mod evolve. Firstly, most of the players mindlessly try using various mods and then they are surprised that something stops working. The main source of problem is always other conflicting mod. This mod is unlocked for a reason. So if there is a conflict of mods, anyone can make an appropriate adjustment if he wants to use them both. Secondly publication of this mod here was not authorized by me. Someone else added this mod without my knowledge. Someone threw this mod here and even didn’t accept these principles because source download is different than http://ets2.freevar.com/. There is deff a bug here, i only use this trailer mod pack and never had bother at all its great, but with this update there is a random crash. yes some may not have it but most do. even with a clean install and no other mods. I hope it is fixed soon but don’t pretend there is no problem, cause there is..
No. This is not definition files bug but game engine error. This error appears in every large mod. If you run game with additional parameter: -mm_pool_size 1000 this problem will be solved. 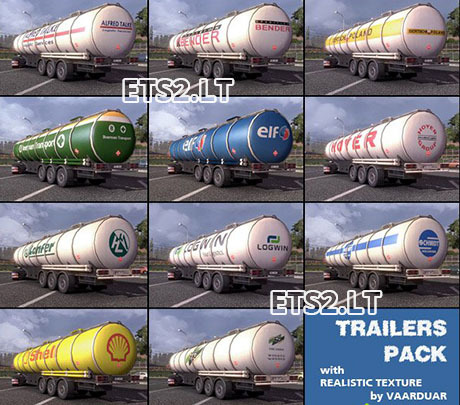 Can we use ETS2 mods in ETS1?